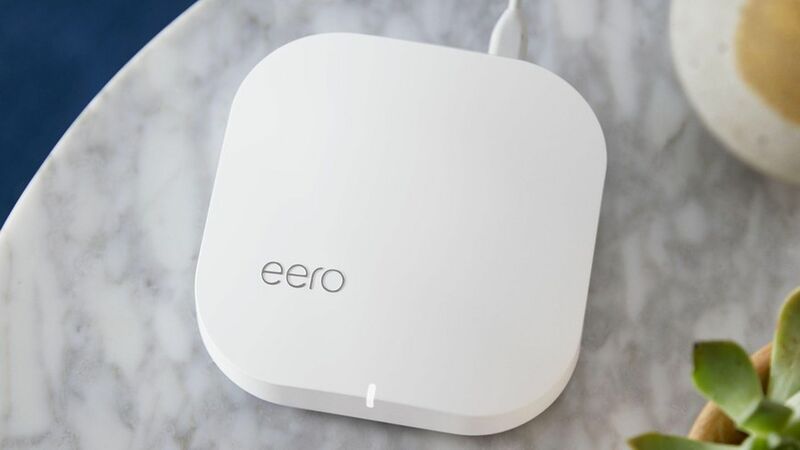 When it debuted a couple years ago, Eero was the first company to aggressively promote the concept of placing multiple networking boxes around the home for better Wi-Fi. Now, as Eero's second-generation product hits the market, the company is far from alone, facing competition from other startups as well as traditional networking companies like Belkin and Netgear. Who it's not good for: Those whose homes are reasonably well covered, those who already have a mesh network or are particularly cost conscious, since others offer a more affordable alternative. Our take: I eagerly bought the first Eero system due to poor in-home Wi-Fi coverage in an old San Francisco building. While it improved a bad situation, the Wi-Fi in the back of the house (where our bedroom is located) still left much to be desired. Eero's original system consisted of three identical units, while the new standard $399 system is one main system and two smaller "Eero Beacon" devices. In testing the second-generation system, I initially tried a mix of three new devices and one older Eero and it actually made things slower. But when I went with just the new Eero-and-two-beacon system I found it delivered a significant speed bump, as measured by the Speedtest app, on the order of about 25% faster downloads.